Obsidian - Amazon Digital Izik 曲目リスト 1. Midnite 2. Far Away Home 3. Fire 4. Number One 5. Blow My Cover 6. Creation 7. Rocks 8. Lose My Number 9. Selfish 10. Fireground 11. Watch Me from Above ハワイアン・ソウルR..
Cherish (feat. 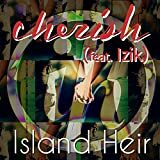 Izik) - Amazon Digital Island Heir 曲目リスト 1. Cherish (feat. 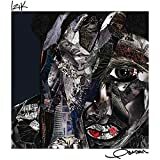 Izik) ホノルル在住、ヒップホップアーティスト、アイランド・ヘアーのデビューシングル、フィーチャリングにアイジックが参加！ オリジナル盤発売日： 2015/9/3 発売日: 2015/9/10 レーベル: Island Heir 著作権： 2015 Island Heir 収録時間： 3:13.. Clock Ticking On The Wall - Amazon.coｍ Clock Ticking on Wall - Amazon.co.jp MP３ 試聴 Raymond Bizik 曲目リスト 1. Nani Ka'aina (Island Of Beauty) 2. Love Without A Doubt 3. Shade Of The Kiawe 4. More Than You'll Ever Know 5. A Phrase That..